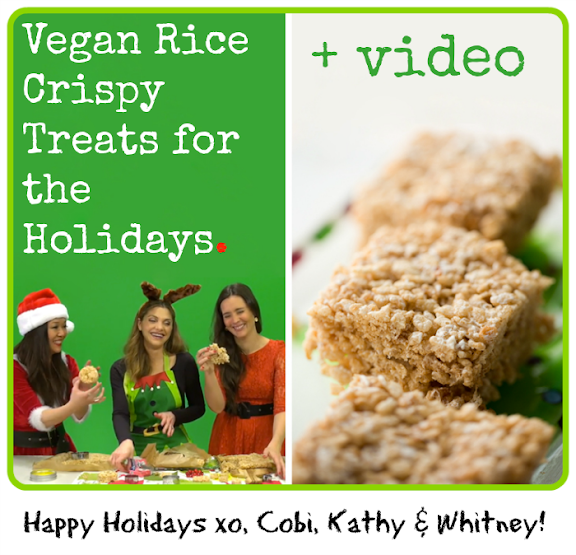 Vegan Rice Crispy Treats (Snowmen) - Day 3 Video! 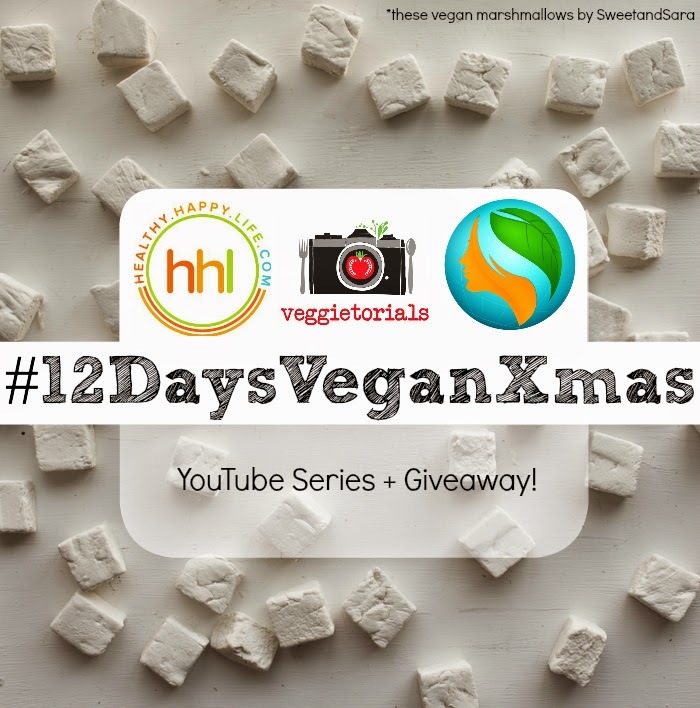 It is Day 3 in the 12 Days of Vegan Christmas YouTube Series! And I am excited to finally share my first of four videos contributing to this series and giveaway. 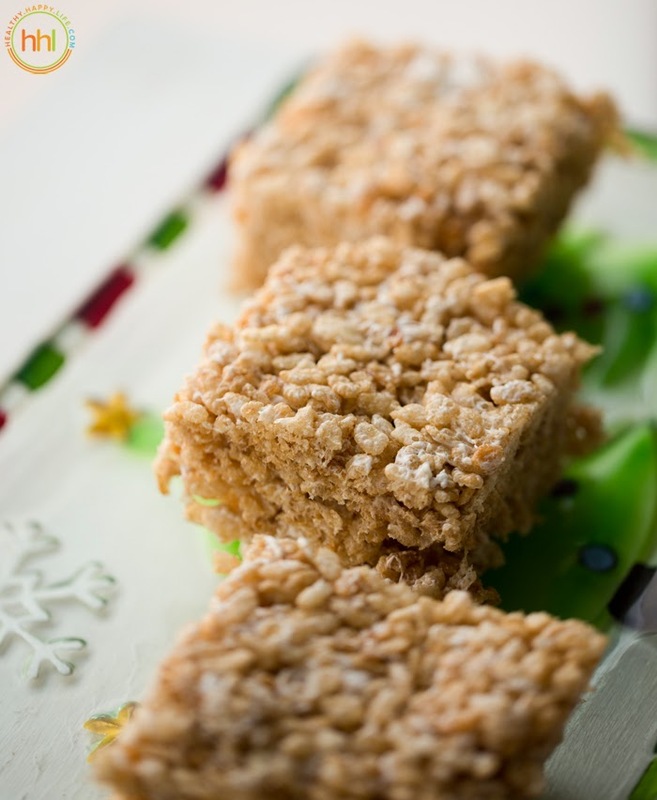 Today, I teach Cobi and Whitney how to make my favorite kid-approved, super easy and fun Snowman Rice Crispy Treats! Watch us giggle our way through this recipe. (And do not forget to enter this amazing giveaway!).. 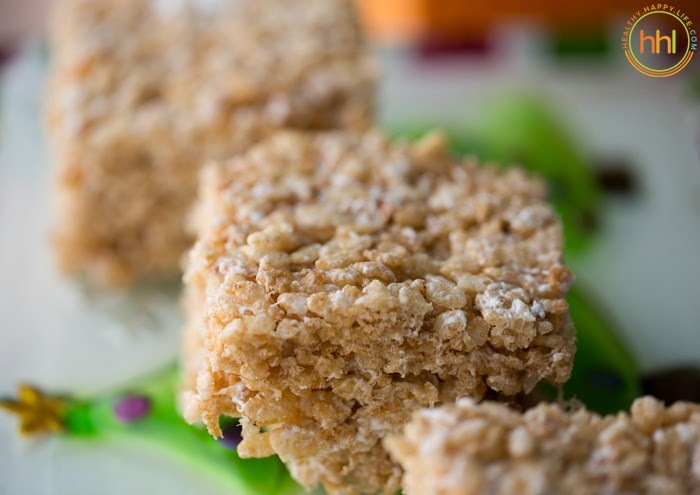 Crispy sweet rice crispy treats made using amazin Sweetand Sara marshmallows. 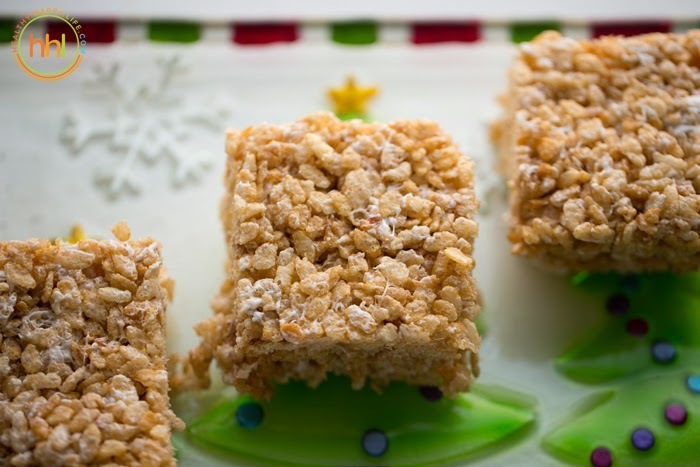 Easy and delicious treat! Kids will love making this dessert with their parents too. Warm a large soup pot over hight heat. Add in the vegan butter and melt. Then stir in the marshmallows. Stir briskly to melt marshmallows. When they are about half melted with just a few clumps, you can stir in the cinnamon and vanilla. Turn off heat on stove and fold in the rice cereal. Fold and lightly smash some of the cereal. Fold for 2 minutes to fully coat the cereal in marshmallows. Line a square glass dish, 9x9 inch works well, with parchment paper. 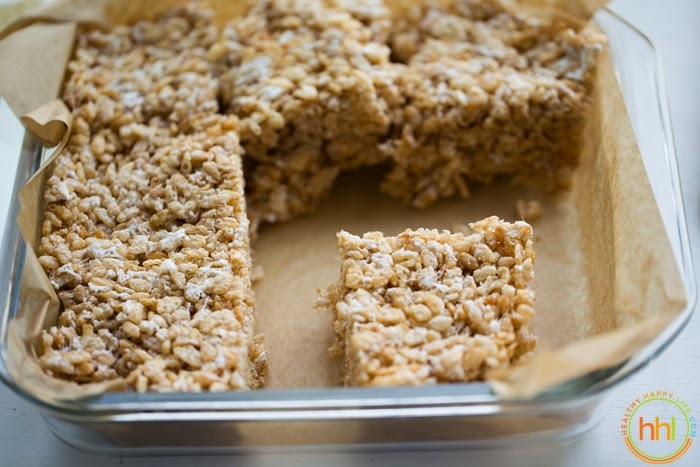 Scoopy the cereal mix into the pan - all of it, for thick treats! Using another sheet of parchment in between your hand and the treats, press down firmly to flatten treats in dish. Allow at least ten minutes cooling time for soft serve treats, warm and gooey. Or place in fridge to fully harden up. Stiore leftovers on counter for up to a day, or store in fridge for up to 3-4 days -- treats wil dry out as time passes. Best same or next day.